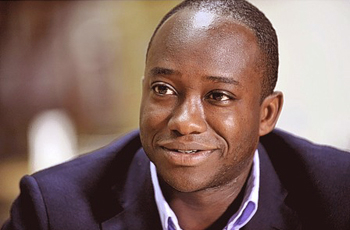 Sam Gyimah has served as Conservative MP for East Surrey since 2010. Recently in the June 2017 General Election, Sam received 35,310 votes, which equaled a 59.6% majority, retaining his seat. Sam currently serves as Parliamentary Under-Secretary for the Ministry of Justice. Sam was born in Beaconsfield and was educated in Ghana and Hertfordshire. Sam went on to read Politics, Philosophy and Economics at Somerton College, Oxford. While he was there he was elected President of the Union. Sam started his career at Goldman Sachs. He left in 2003, after which he was involved in developing a couple of small businesses in the training, employment and internet sectors; in 2005, he was voted CBI Entrepreneur of the Future. Sam was the chairman of the Bow Group, and has been a local liaison officer. He has served as School Governor of an Inner London School, on the Board of a Housing Association and on the Development Board of Somerville College. He has been a volunteer and fundraiser for Crisis and Down Syndrome Association. Sam's priorities for East Surrey include: fighting to protect the Greenbelt and local environment; stopping garden-grabbing; returning power to local communities (including power over planning decisions); a fairer funding deal for Surrey to protect and enhance vital services; and reaching out to those disillusioned with traditional party politics. Sam has been a member of the International Development Committee and is currently Lord Commissioner of HM Treasury (Whip). He is a Vice-President of the National Centre for Young People with Epilepsy (NCYPE) in Lingfield. He is an Arsenal supporter and a keen runner, completing the London Marathon in 2008.